Does RapidFire offer an Agency Discount? Yes. RapidFire takes pride in maintaining strong relationships with many of the top media buying companies in the World. For our Dynamic In-Game Advertising services that operate on a CPM rate, we normally offer a 20% agency discount. We have a time sensitive campaign, can in-game advertising accommodate this? You bet! 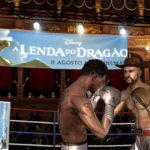 Depending how tight you are for time, we often suggest Dynamic In-Game Advertising. This form of in-game advertising can be compared to online advertising with regards to preparation and dismantling. With the prevalence and technology associated with online gaming these days, all we really need from you are your banners, and we can pluck them in and out at will, in some of the biggest video game titles on the Xbox One, PS4, or Steam/PC platforms. How much does in-game advertising cost? Too often we get this one line email. It really depends on the service, as we offer several in-game advertising services, and within each service there are a couple types with different price-points. With Dynamic In-Game Advertising, you’ll be looking at CPM based price models. Whereas with Static In-Game Advertising and Advergaming, you’ll be looking at predominantly flat-fee price models. Is geo-targeting (targeting by location) an option with in-game advertising? It’s definitely an option with Dynamic In-Game Advertising (DIGA). Since DIGA is delivered to gamers playing online with an active internet connection, we can differentiate and deliver ads to certain IP Addresses. This allows us to geo-target by continent, country, and city! Is in-game advertising right for our company? Great question, and you’d be surprised at how effective in-game advertising can be for companies coming from a wide-variety of industries. If your target demographic is between the ages of 8-35, chances are we can offer a solution for you. Even if you’re demographic is outside of the aforementioned age range…perhaps aged 50+…even these folks play games too, and we have the ability to reach them! Mind you, these folks probably aren’t playing Gears of War or Need for Speed! What kind of campaign reporting and statistics do you offer? The answer really depends on which type of in-game advertising you choose. Dynamic In-Game Advertising (DIGA) has the most options when it comes to reporting and statistics. With DIGA, it’s possible to track and report on impressions, unique players, ad views, and number of other metrics. We can also support 3rd-Party 1×1 tracking tags for independent impression verification. Do you require prepayment prior to campaign launch? Good question and the answer is no. We invoice at the end of the month or after the campaign has been delivered, whichever comes first. See IAB Standard Terms and Conditions for Interactive Advertising Version 3.0. 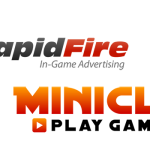 RapidFire can help you connect with one of the largest audiences in the World – Video Games. To start a campaign, or to request our Media Kit, or to simply learn more about what we have to offer, we’re standing by and ready to assist!. 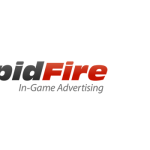 RapidFire operates the largest dynamic in-game advertising network in the World, specializing in the delivery of advertisements inside of blockbuster video games for Console, Steam, PC, and Mobile platforms.